Last update on 09 October 2017 . John T. Toohey was born in Bloomington, Illinois where he lived until he married Catherine (Casey) Toohey in 1886. They moved to Strawn, Illinois and had four children: Thomas W., Grace Ann, John Clement and Francis L. Toohey. They lived in Strawn, Illinois for 32 years until 1918. They then moved to Peoria, Illinois and lived there for the next 25 years until his death in 1943. He was a versatile man, Telegraph Operator, Station Agent, Postmaster and a Breeder of Canines that bring high prices. He has talents in various lines and his occupations are somewhat diversified, but all are successfully pursued. He is the agent of the Wabash there and has been for a great many years. He is known as one of the most expert telegraphers on the line and stands in high favor with the road officials. He is postmaster at Strawn and the people there all unite in saying that he is a good one. But is as a dog fancier that Mr. Toohey's genius is seen at its best. Toohey started breeding in 1888 and he bred his dogs "true to type by selection and not by paper" (A. F. Hochwalt, Dog Dom July 1919). Among the sires he used are Lady's Count Gladstone, Rodfield, Toledo Blade, White B and Mohawk II to name only a few. The pedigrees of his litters show line-breeding with a few outcrosses to improve the genes. 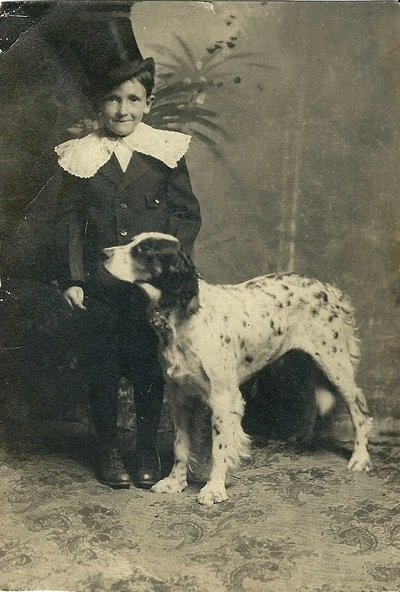 Many of his dogs are still found in the extended pedigrees of our English Setters today, due to his most prominent dog, Pride of Gibraltar T, who was exported to Great Britain, they influenced both the American as well as the English Type - and not only in the UK but in many other European countries. Follow this link to the dogs John T. Toohey bred and owned! 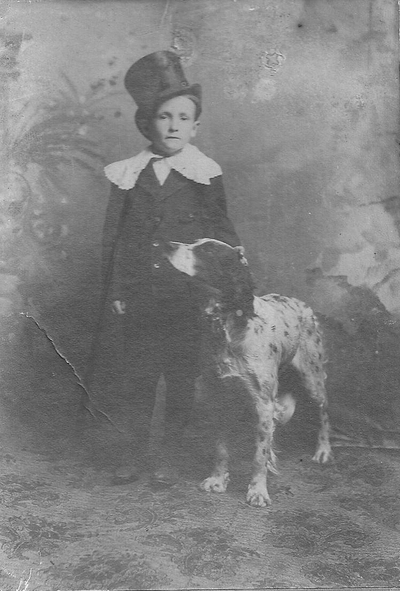 Though Toohey's breeding was of great importance for the English Setter breed, not much is published about him and his breeding. A.F. Hochwalt refers to him 2 times in the 1923 edition of his "The Modern Setter" and also mentioned him in some of his articles "The Pointer and Setter" in the periodical Dog Dom. Together with his grand daughter Catherine Bortnick (Toohey) and supported by Stephen Bell I am trying to fill this gap. Our researches are still in progress, if you can contribute some details we would greatly appreciate it. His life is shown here on a timeline, using the scroll wheel of your mouse in the timeline area you can see his whole life. Clicking on the events will show you detailed info. Two photos from the son Francis L. with Banner Blue from 1915, from the same year an ad with the photos of Creole Bell and Banner Blue again.